WEST On The Green is an incredibly unique and fresh wedding venue in Glasgow. 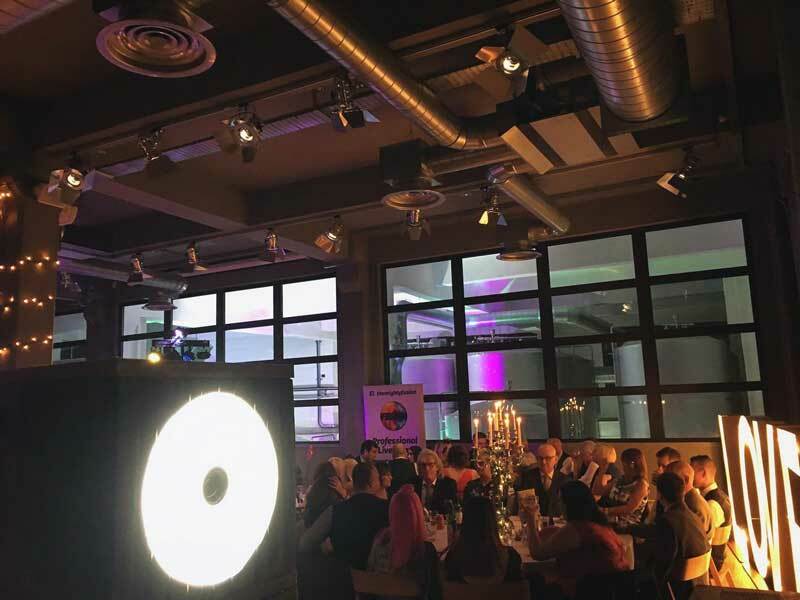 Located in the iconic Templeton Building next to Glasgow Green this unusual Bar, restaurant and event space is like no other in Scotland. Featuring it’s very own working brewery which you can actually see from the event space it is no surprise that this unique wedding venue has went down a treat with Scottish nationals and foreigners alike. 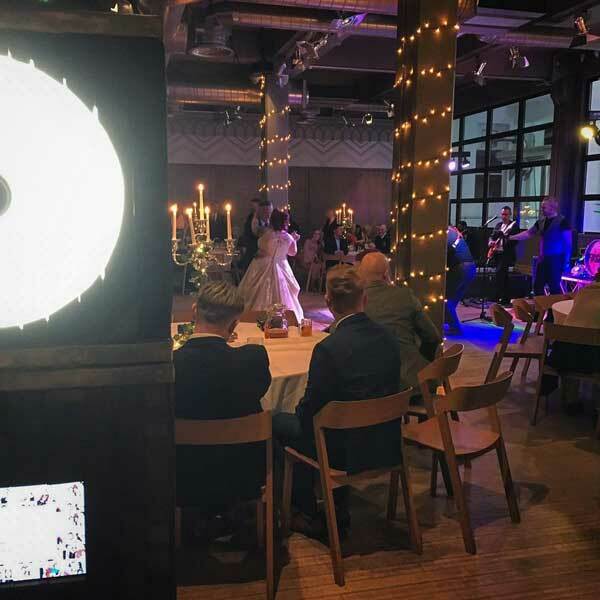 Known more commonly for it’s beer-hall style bar and restaurant, WEST On The Green also boasts an impressive event space ideal for weddings overlooking the beautiful working brewery. The location features two event spaces to choose from depending on the size of your wedding. For smaller weddings the WEST Hop Room is a perfect space to dine up to 64 guests and entertain up to 90 for your wedding reception. Featuring neutral decor with a hint of an industrial theme this bright and open space is a perfect blank canvas to add your own personal touch. For larger weddings the WEST Courtyard can cater up 150 guests for a ceremony and meal and if you have enough friends you can host up to 250 guests for the evening wedding reception! If you want to impress your guests with views of WEST’s modern brewery then the WEST Courtyard is a must. 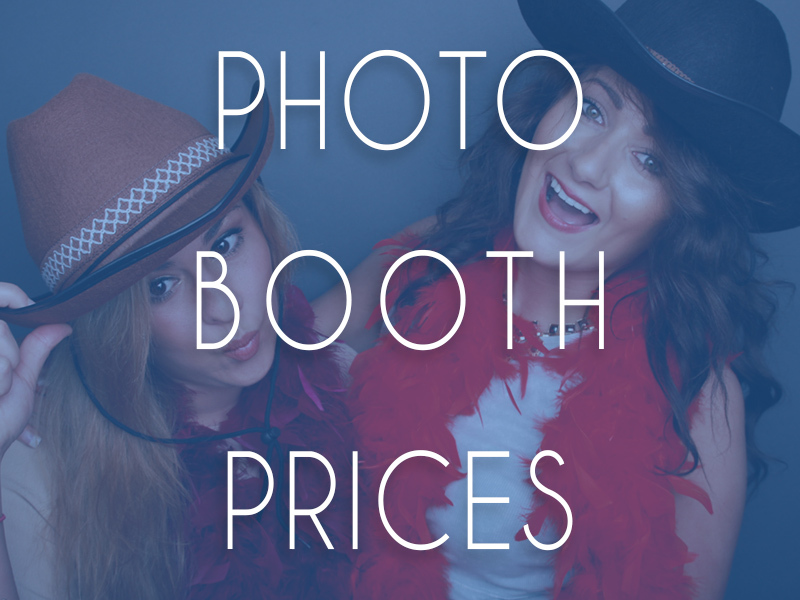 The space has a fantastic brick wall on one side which is the perfect backdrop for your photo booth and is in keeping with the industrial feel. Barry & Jade decided to use the new WEST Courtyard for their wedding and boy was it impressive! As their wedding date nearly fell on Halloween they decided to use pumpkin table centrepieces as a quirky addition and their wedding invites included sugar skulls so we knew this would be a unique wedding to remember. The Halloween twist worked perfectly with the industrial theme at WEST Brewery. We think it would have been difficult to have made this work in a typical wedding venue. Barry & Jade clearly knew what they were doing. 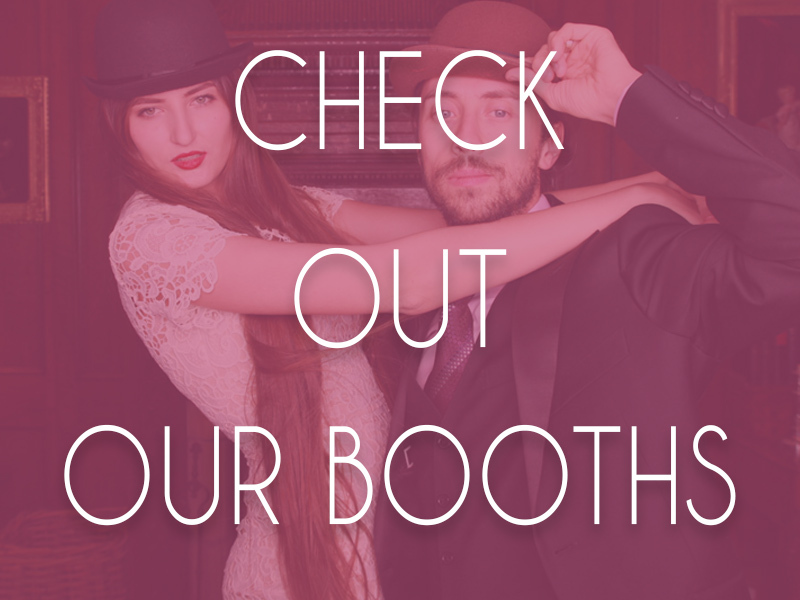 They also decided to use our Whisky Barrel Photo Booth with it’s copper and dark wooden exterior complimenting the nature of the space perfectly. As you may well know wedding planning can be stressful enough in itself! Barry was moving countries from Ghana to Scotland so we wanted to make sure they had as little as possible to think about. Which leads us to our favourite element of Barry & Jades WEST On The Green wedding. 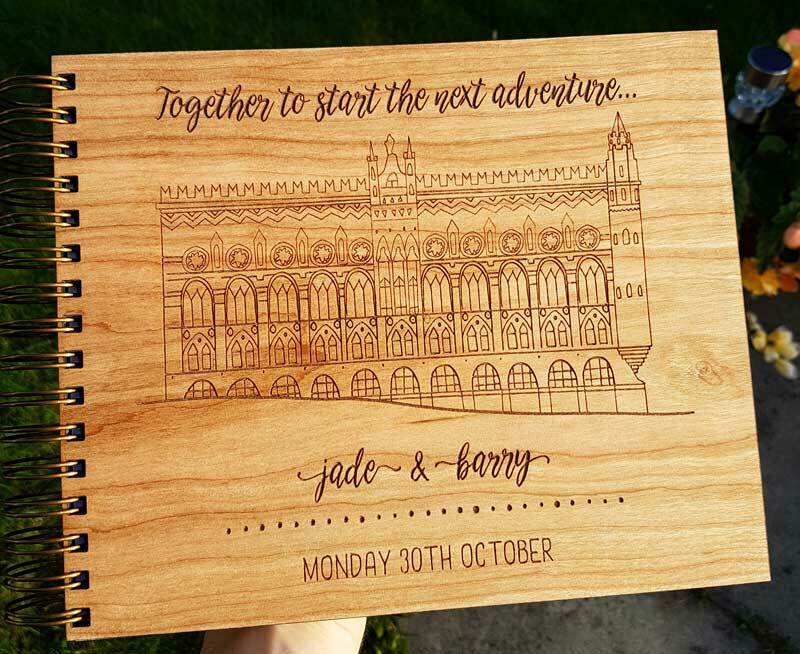 Barry & Jade included a custom wooden engraved guest book with their photo booth hire and Barry was very keen to include the iconic Templeton Building in the design. With such a unique wedding taking place in a very unusual venue we had to pull out all the stops to make sure the guest book was equally as impressive. Rebecca from Alfalfa Designs worked on hand drawing the exterior of the Templeton Building including as much detail as possible. While a design as intricate as the beautiful Templeton Building can be time consuming it is equally rewarding, especially when Barry told us how much Jade would love the design! Barry also decided to use the hand drawn sketch of the Templeton Building for the design on the photo booth prints which really complimented the pictures captured. 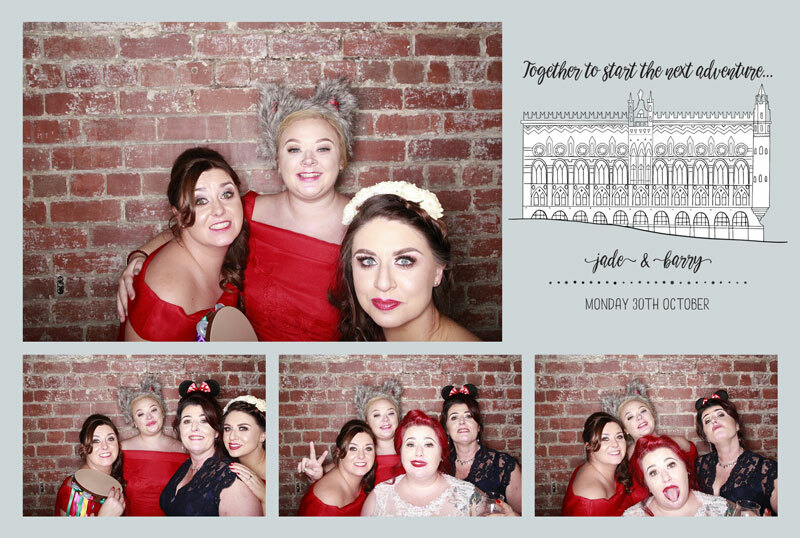 We take our hats off to Barry & Jade for planning such a unique and memorable wedding at an equally iconic Glasgow wedding venue. We would be lying if we said the guest book wasn’t our favourite element, it really is a beautiful building.